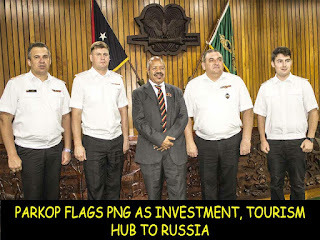 NCD Governor Powes Parkop has flagged the country to visiting naval officers from Russia as an investment and tourism hub despite all the negative publicities overseas about PNG. Mr Parkop said the visit by the Russian navy officers in their warship was historic, conveying his warm welcome to them. During a dialogue hosted yesterday in Parliament, he commended them for showing interest in the city which is hosting the APEC Leaders’ Summit in November. He added that the countries had a long history dating back to the settlement of Russian scientist and traveller Nikolai Miklouho-Maclay in the country from 1846 to 1888. Governor Parkop, however, has assured the Russians that the country is full of peace-loving and friendly citizens. When queried about the aggressiveness of our people, he gave them the assurance that our country is unique and safe. He stated that the country was rich in tourism spots, adding that it is the next frontier for tourist industry. “You have seen everywhere else around the world but you have not seen everything until you come to PNG,” he said. He admitted that like every other country in the world, PNG has its own share of the challenges. 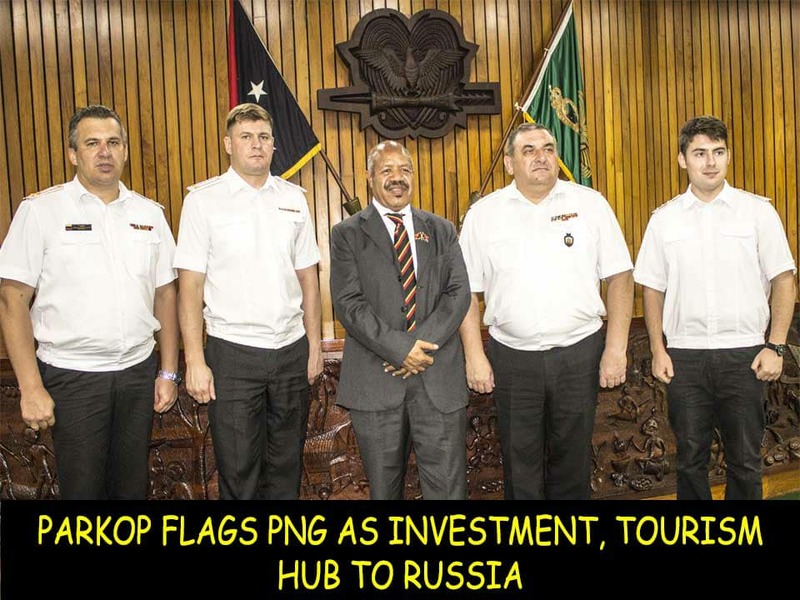 Apart from tourism, he said, the country is also rich in natural resources and that he extended his warm welcome to Russian businesses to invest in the country, taking their relationship to the next level.